International companies and their structure always were difficult for presentation on the website due to big branch network even in separate country and in nearby countries. The main difficulty is representing a company structure in most compact way according to the size of website page. In order to solve this problem each company have their own decisions. Some companies just include a short department list with necessary information, but this list can’t attract more users to the website. That’s why using html5 world map can be a best decision. 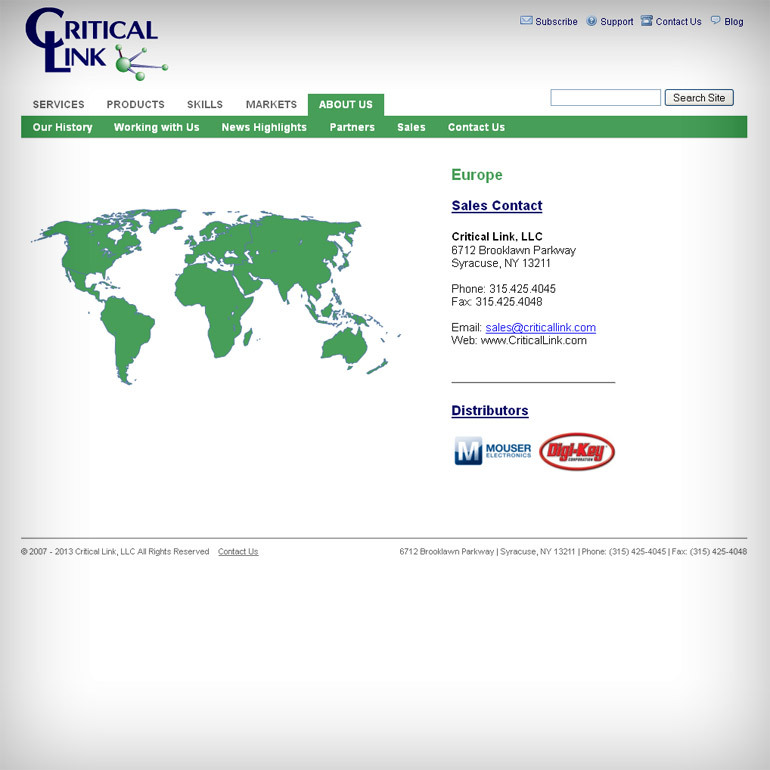 You can see example of such map in the official website of our client – Critical Link. Inc. We embedded the combined interactive map which consists from two separate products: Golden World map and USA Locator map. This product can really represent the whole company structure in all over the world. Clicking to the world region leads the visitor to separate country department and allows finding useful information. The website developers refused to make popup windows for additional information and included the information block to the website background. Also they customized the map regions color to the company color scheme.